The 2019 bottling season is well on its way, and there are more than a few reasons why this year's bottling is different from those in the past. The 2018 vintage of your favorite Quady wines are being bottled as we speak! 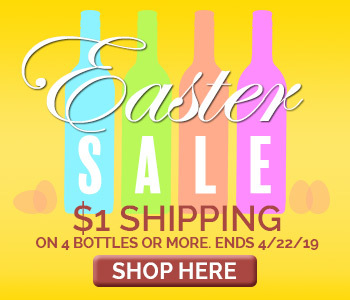 Andrew and Laurel Quady are the founders of Quady Winery. Their path into the wine world began with an exodus from southern California to pursue their dream: a rural way of life making wine. When Andrew Quady and his wife Laurel moved to the San Joaquin Valley to pursue a rural lifestyle and an enology degree at U.C. Davis for Andy, an earlier career producing explosives transformed into a more sensitive, but still dramatic life crafting intense muscat wines. 1600 cases of Zinfandel port started the Quadys off on sweet feet in 1975. What to do with unwanted sacramental black muscat? Make heavenly Elysium Black Muscat dessert wine to transport you to the state of ideal bliss. Michael Blaylock joined Quady as winemaker to manage the sudden growth in winemaking operations inspired by Essensia Orange Muscat and Elysium Black Muscat Dessert Wines. Three decades later he has a lot of award winning sweet wines to smile about. Port is traditionally passed around the table to the left, but Starboard we pass to the right. Port is a protected appellation, so Andrew Quady decided to name his version "Starboard", which is nautically right on a ship, opposite to port (left). Starboard resembles port in almost every way, except in geography, and in the softer, rounder, more voluptuous tannins that are a result of the unique climate found in the foothills of Amador county. 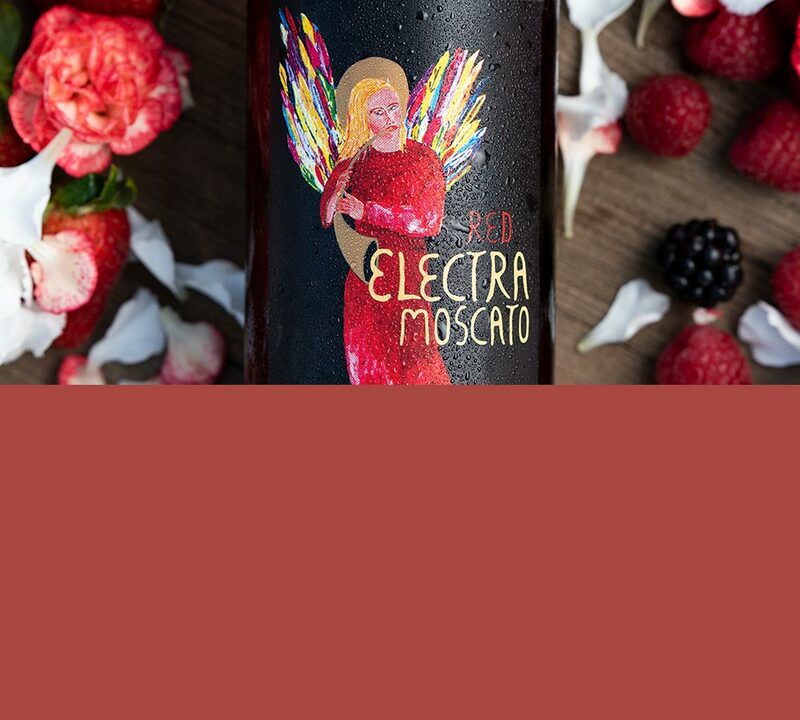 We like to call them picnic wines, but fans of Electra and Red Electra Moscatos drink them anytime, and anywhere (they legally can!) These soft and tangy moscatos are a dramatic contrast to their rich, fortified muscat predecessors. The Electras are so light and fruity, they can be mistaken for the ripe run-off from the grapes, but they are very carefully vinified in the moscato d’asti style. Throw out what you know about vermouth and think again. This time think about quality wine, a culinary selection of whole dried herbs, and expert winemaking. Think about a mountain meadow after the rain, or the comforting aromas of holiday baking. Vya is aromatherapeutic. Relaxing. Enlivening. Enticing. Andrew and Laurel partner with their son turned winemaker, Herb Quady, and found Quady North with a 100-acre estate vineyard in the Applegate Valley of Southern Oregon. The family plants the vineyard to Rhone varieties Syrah and Viognier, and to Cabernet Franc, found in Bordeaux and the Loire areas of France. The warmer climate of Southern Oregon is ideal for these varieties, as opposed to the cooler Willamette Valley in Northern Oregon known for its Pinot Noire. A delicious deviation from traditional winemaking,Deviation is Orange Muscat dessert wine aromatized with the Mayan aphrodisiac Damiana and Rose Geranium. Damiana is wildharvested in South America, and Rose Geranium is grown at Quady Winery. The International Wine and Spirits Competition, the largest wine show in the world, awarded Quady Winery its singular IWSC Trophy for the Best Overall Results in their 2009 show. Needless to say, Andrew Quady and Michael Blaylock were proud to be recognized for their achievements, shared among the entire Quady crew. Vya Vermouth can do all kinds of things to enliven drinks, and now there's one more tool in the tool box with Vya Whisper Dry. Vya Whisper Dry plays wonderfully with subtle spirits like vodka, making a martini that smells beautifully but doesn't change the taste of the spirit too much. Vya Whisper Dry is also lovely all by itself in a wine glass, before dinner or with a light meal. Quady Winery begins expansion to exceed 100,000 cases in order to keep up with demand for Moscato and Vya Vermouth.